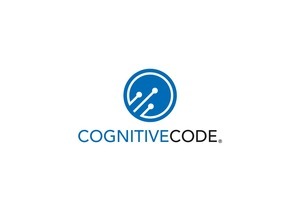 Cognitive Code Corporation is developing exciting new conversational artificial intelligence (A.I.) systems, based on our proprietary SILVIA technologies.
. Cognitive Code is a privately held corporation, dedicated to the development and deployment of new conversationally intelligent software technologies.
. Cognitive Code works collaboratively with partners and licensees to create compelling, unique, and superior user experiences for customers.
. Our collaborative approach enables our partners to experience the immediate commercial benefits of a customized SILVIA-enabled product, while simultaneously learning how to develop new SILVIA- enabled applications and content.
. Our team of professionals has decades of experience in technology and software development, including the architectural design, development, and deployment of complete enterprise software solutions.
. SILVIA is the result of a fundamental conceptual breakthrough in artificial intelligence. The core of this breakthrough involves the complete functional separation of human language processing and mathematical machine thought.
. SILVIA is a complete system for the development and deployment of intelligent applications to almost any computing platform or operating system, with a technological core that allows humans to interact with computers in completely natural and intuitive ways.
. Within the core of this new technology is a unique collection of proprietary algorithms that enables an instance of SILVIA to communicate as if it were another person. This radically different approach to human language processing and machine thought makes practical, conversational applications possible.
. The SILVIA framework includes a complete set of GUI tools for developing intelligent entities for specific applications. SILVIA also includes the associated code and scripting APIs that enable developers to embed the SILVIA run-time in their applications, and to easily create new ways for SILVIA to interact with other applications as well.